The New Balance Womens Minimus Sport 1006 Golf Shoes Purple are designed with a super-lightweight mesh upper and a FantomFit support system for incredible comfort and breathability. The RevLite midsole provides super lightweight cushioning and a responsive fit. The Ortholite insole keeps your foot cool and dry during those hot rounds. The golf shoes are very light and comfortable. Love the shoe! Fulfillment of my order was quick and I actually received the shoes before I was expecting them. Comfortable shoes at a great price! 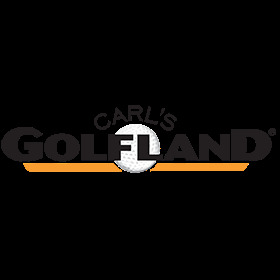 Carl's has great sales and the fastest shipping and service around! You'll be pleasantly rewarded when you shop at Carl's! Tried similar shoe at local merchant to verify size but found Carl's had a great selection so made purchase. Shipping was quick and easy - free 2 day service actually took a bit longer as order placed in afternoon Wednesday and arrived on following Monday - Great experience.